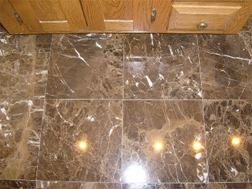 We clean and restore marble, slate, granite, and many other types of natural stone. However, a cleaning is just that. In many cases your expectations may be more then the results that a cleaning can achieve. If you're looking to restore your marble floor back to its brilliant, highly reflective shine, than a marble polish is what you need. This does not include a grinding process that is used to eliminate deep scratches. But if you're floor has just lost its luster, than a powder polish will bounce it back to its natural, radiant look. Our process includes special polishing powders and a buffing machine, which will get rid of minor scratches on your stone's surface, and will restore your floor to its beautiful reflective shine. Tile regrouting is the process of removing the existing grout from your tile and replacing it with new grout to improve and enhance the look of your tile. There are many reasons why you may want to regrout your tile. The most significant is the fact that it is just horrible looking, it will not clean up anymore or maybe you are just trying to put your property on the market and want a cost effective alternative to remodeling. Whatever the reason, we are here to help. 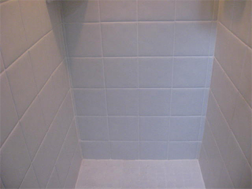 Our technique of regrouting tile is the most effective, professional and BEST way to regrout. Our system will not only improve the appearance of your kitchen counter, vanity, tub surround, or shower stall but it will ensure a lasting finish for years to come. 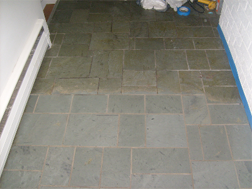 The Regrouting Process - First, we assess whether you have sanded or non-sanded grout. 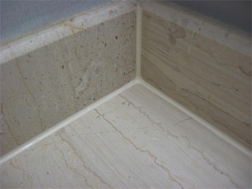 If it is sanded grout there are other methods to clean, color and seal these grout joints such as grout coloring. 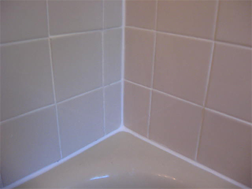 (Rule of thumb- sanded grout can be cleaned, colored and sealed. 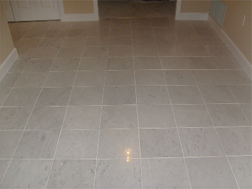 Non-sanded grout can only be cleaned the best possible and sealed or regrouted and sealed). 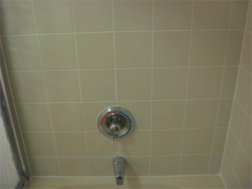 We then completely remove the existing grout with a rotary tool, remove any existing caulking, acid wash all tile and grout joints to clean and prep for new grout, we then establish the color of new grout to be installed. Once the new grout is installed we let it dry and then seal with a sub surface penetrating sealer such as Miracle Sealants 511 Impregnating Sealer. 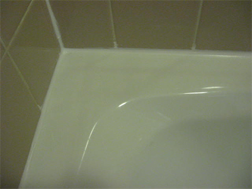 Then, we re-caulk any necessary areas such as the sink and base of counter top. When we are finished you are presented with an invoice and if you are happy you pay. That simple! Usually, most jobs are finished in one day. The process can create a little dusty so, we take every precautionary measure to ensure as little invasiveness as possible. Recaulking should be performed right away when old caulk is peeling or missing. 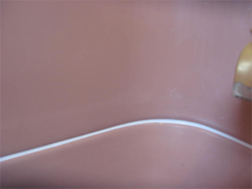 Recaulking is recommended when the old caulk has become discolored or has mold and mildew that can not be cleaned. Recaulking areas that should be of most concern include: bathtubs, stall shower bases, shower doors, shower handles and faucets, around sinks and toilets. Other areas of concern also include: door and window frames, tile joints (wall, floor and corner). Protection from Mold and Water Damage, water can enter into the walls from joints around the bathtub, sink, faucets, shower handles and windows. Once water starts to penetrate, it will eventually cause a great deal of damage to the areas that are not visible until it is too late. Some of these areas include wall studs, floor joists, sheet rock and insulation with in walls and below floors. 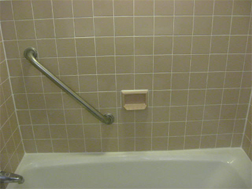 Appearance, clean and neat caulking gives the bathroom a polished appearance. Make it look as good as new ... for a fraction of the cost of replacement. Is your tile and grout dirty? Cracked? Do you have missing grout? Dark stained or discolored grout? Ceramic tile, porcelain tile and other man made tile and especially grout lines occasionally need to be cleaned and maintained. In a commercial settling the ceramic tile and porcelain tile that have textured finishes have a tendency to collect dirt in the rough areas. These tiles usually collect dirt due to improper cleaning processes and the use of improper cleaners. Dirty Grout? Grout on tile floors is usually what gets dirty first. The first thing you need to know about your grout is that the most tile is grouted using sanded grout. Sanded grout is porous and virtually anything that is spilled on the grout penetrates into the pores and accumulates, leaving you with dirty and unsanitary floors, no matter how often you clean them. Even when cleaning your tile and grout, often the dirty water lies in the grout lines, dries and attaches itself to the grout and suddenly you develop dirty grout lines. Also grout becomes stained from the bottom of the sub straight and stains the grout. Even the most aggressive cleaning methods will not totally clean up these stains. 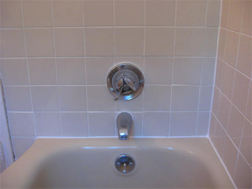 Want To Change The Color Of Your Grout? 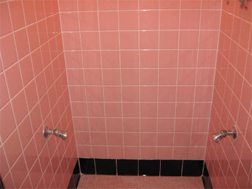 Arizona Grout Restoration can change the color of your grout to any color you want. The unique thing about the Color Seal process is that once your grout is color sealed it will prevent staining and make the cleaning easy. Even if you spill coffee, soy sauces, ketchup, etc. these spills will not stain the grout and will clean right up. In addition to saving money on costly water damage repairs, having a professional recaulk your bathroom will save you time and the cost of materials. 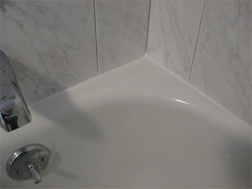 Many times when caulking is not done correctly it will appear uneven, lumpy and just plain messy. You will then need to remove it, as well as purchase more caulk and try again.